Trouble seeing at night? Are your Headlights Hazy? We are proud to use OEM (original equipment manufacturer) parts on all Toyota vehicles to ensure complete satisfaction. The service is available for all makes and models at our Kanata Toyota. Why should you opt for Headlight Buffing? Foggy headlamps can decrease the visibility given off by your lights. This is detrimental not only to the driver and how much he/she can see on the roads, but also to other drivers as well. We can easily remove the fog and dirt from your headlamps and ensure maximum performance for your vehicle’s lights. 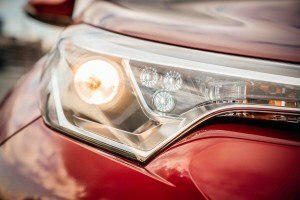 What causes Headlights to turn Yellow and Foggy? The headlights are external fixtures and that makes them susceptible to any environmental assault. The outside factors are more serious on cars today because the headlights are no longer made of glass. Instead, these fixtures are made of hard plastic that is covered with a clear coat to protect the porous surface. It can be road salt or pollution, but sooner or later the clear coat on the headlights is going to start fading away. The winter time in particular can be rough because of the road salts and mucky water. In the summer, the sun wears down the clarity of the headlights. Even if there is UV protection it is good for only so long. That clear coat also can be affected by the type of cleaning agents used. All of this results in the plastic eventually becoming oxidized and a foggy appearance is the consequence. This adds up to a situation where headlights can get worse for wear and need to have some work done on them. Book an Appointment Today and get your vehicle Spring Ready! 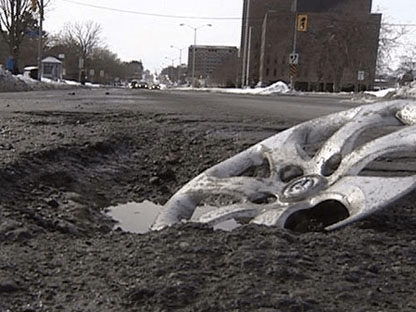 ‘Tis the season of Pot Holes. Protect your Tires and Rims with a Wheel Alignment for $129.95. Why do I Need a Wheel Alignment? Driving on properly aligned tires can help improve the safety of your vehicle, help increase the gas mileage you’re able to achieve, and often makes for a smoother ride. Getting regular tire alignments can also save you money in the long run by ensuring that your tires last longer, so you don’t have to replace them as often. What Happens When you Need a Tire Alignment? Driving on tires that are out of alignment can cause uneven tread wear and make the tire tread disappear faster. Having uneven tread or low tread is the number one reason for tire replacement in . Failing to have the wheels on your vehicle regularly aligned will cause you to have to replace the tires more quickly. How Can Tires Come Out of Alignment? If you replace the tires on your vehicle the alignment can be thrown off. This is why most tire shops offer alignment with a new tire purchase. But your car can also be thrown out of alignment by simply hitting a deep pothole, running over a curb, or hitting another road hazard. When Should You Get a Alignment Check? Your vehicle needs the alignment checked after you put new tires on or any time unusual tire wear patterns appear. You might also want to get the alignment checked after you hit something very hard (like a curb or pothole in ) or get into an auto accident, even just a fender bender. When you start your vehicle, your 12-volt vehicle battery sends power to the engine starter and triggers it to start. Depending on your driving habits and weather conditions the life of your battery may vary. Your battery will degrade and lose some usable capacity over time to a point that your vehicle may not start. Regular inspection and servicing are important to maintain the life of your battery, and to avoid battery failure. 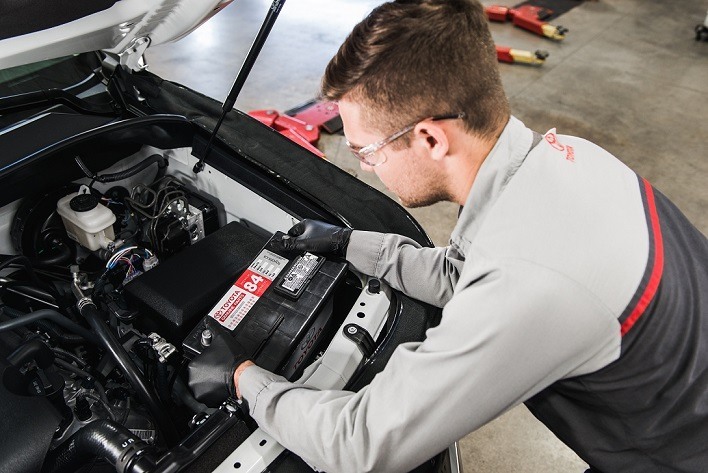 When should you service your car battery? Sluggish start: If your vehicle starts slowly or there is a slight pause/hesitation when starting the engine. Prolonged inactivity: A battery will slowly lose its charge simply from sitting unused for an extended period of time, especially in hot climates. Headlights or interior lights left on: This will slowly drain your battery. After a jump-start: A failed start could indicate a battery condition that needs to be checked out. Cold Cranking Amps (CCA) the intermediate power your battery delivers to crank your engine. Reserve Capacity (RC) the steady power your battery provides the electrical system when the alternator is not operating. Heat, cold, and inactivity are a battery’s main adversaries. While increasing cold will gradually reduce the battery’s ability to generate power to start your vehicle, heat accelerates corrosion and other damage to internal battery components. That damage will ultimately reduce the life of the battery. Taking many short trips, which includes constantly shutting down and restarting your engine, may drain your battery of power. Keeping your battery terminals clean and free of corrosion will help provide maximum starting power to your vehicle. Genuine Toyota batteries have more than quality and value. 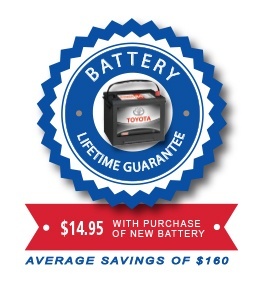 Coupled with the the Kanata Toyota Lifetime Battery Guarantee a car battery failure will never stop you from going where you need to be. 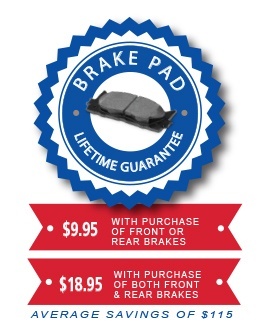 – $9.95 with Purchase of Front or Rear Brakes and $18.95 with Purchase of Both Front and Rear Brakes. When you press the brake pedal, the friction material on the brake pad is pushed against the discs to create resistance in the rotation of the discs, forcing the wheels and tires to slow or stop the vehicle. Every time the brakes are used, a small portion of material or “lining” is worn off. Eventually, the thickness of the material will begin to wear down, requiring replacement. Depending on driving habits, operating conditions, vehicle usage and proper maintenance, the wear of your brake pads will vary.Regular inspection & servicing are important to maintain the wear of your brake pads. What do Brake Pads do? When you apply pressure to the brake pedal, the caliper clamps the brake pads against each side of the brake rotor, creating friction and slowing your vehicle down. Brake pads must create the proper amount of friction to deliver smooth stopping performance with a minimum of noise while operating under the harshest conditions. 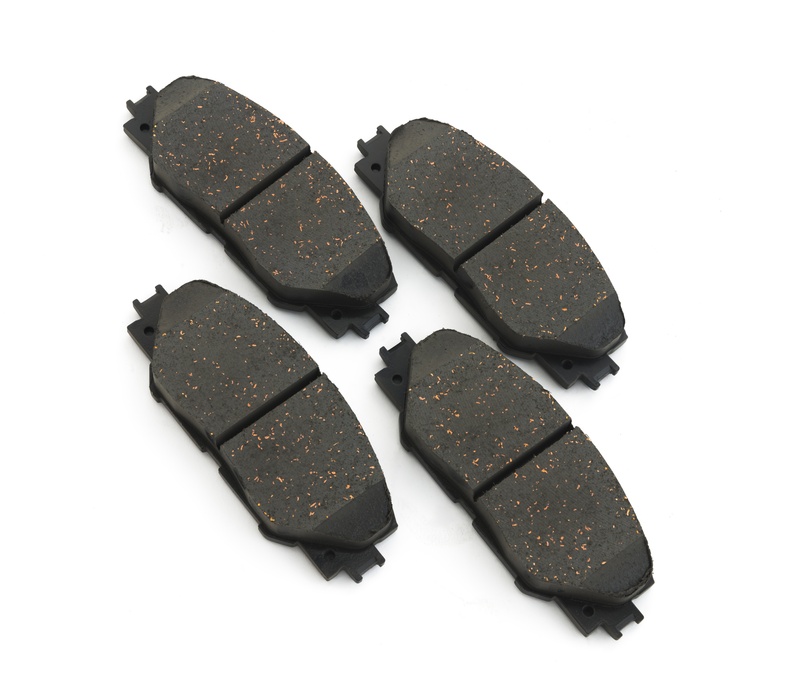 Brake pads are a critical part of your braking system. Pads are designed to wear with use and the rate of wear depends on usage and loads. Constant exposure to the elements may result in rust build-up, which can cause brake dragging, pulling, pulsating and/or abnormal noise. Regular lubrication and cleaning of braking system components helps ensure proper function and reduce premature wear. Brake service should be performed according to the manufacturer’s required maintenance schedule. This will help reduce premature wear and abnormal brake noise during brake application. After we service the mechanical parts of your car on the underside, we’ll give it an exterior makeover for free! Touchless Complimentary Car Wash is now provided after each service at Kanata Toyota. It’s time for those long drives and we want to keep you safe. 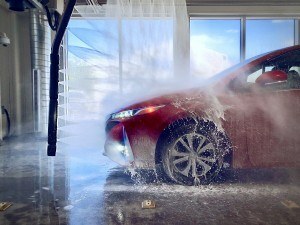 We now offer Free Brake Inspection by our professional, factory-trained staff at Kanata Toyota. For no charge and zero obligation, we provide you with a complete report of the inspection. A comprehensive brake inspection involves checking the wear and tear of the hoses, brake pads and shoes. The technician will also check the brake calipers, and rotors or drums. Our report will include how much mileage is likely left on the pads, and make recommendations as to when more extensive maintenance may be needed in future. Let Us Do The Heavy Lifting And Clear Up Some Storage Space For You! Seasonal Tire Storage now from $99.99 +tax! 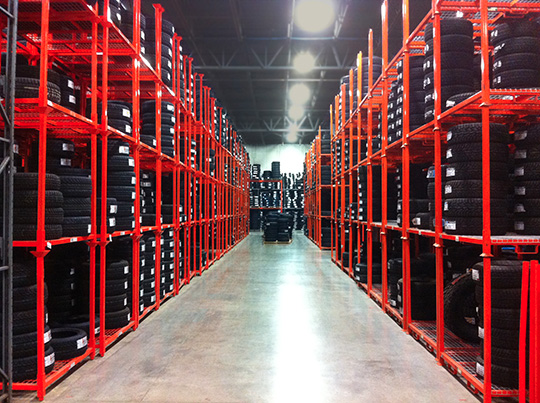 Tires are stored in a climate controlled facility in Ottawa – no storage containers here – that handles each set of 4 tires electronically using bar-code tracking. The process is simple: your tires are carefully measured for tread-depth and then tagged and stored for the season. 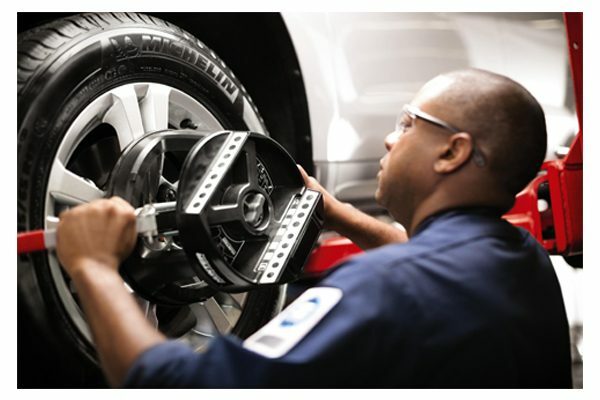 We ensure each set of tires is handled with the utmost care. Trust us to keep your tires in top condition for next season! Now is the time to get your tires Spring Ready! It is standard to have an oil change every 5,000 miles or every six months between scheduled oil changes. Following this rule will keep your engine well lubricated and running smoothly, ensuring that your vehicle will maintain peak performance. 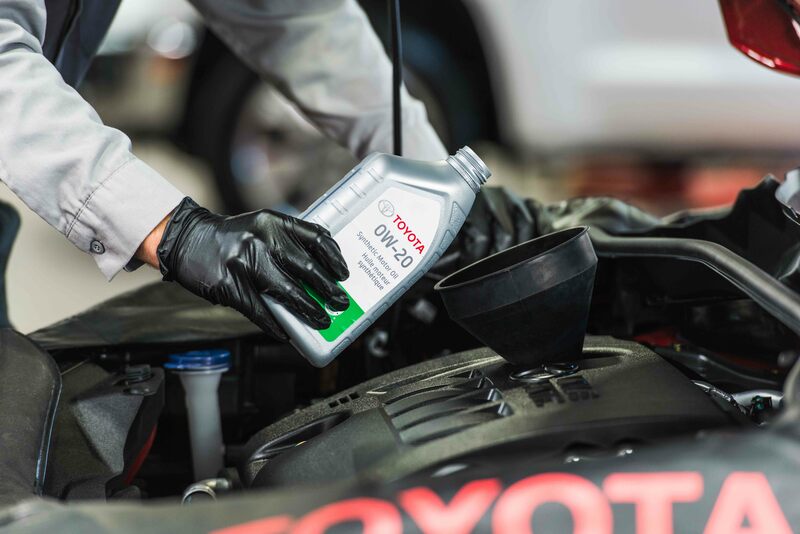 Bear in mind, that if you drive a Toyota model that is compatible with synthetic oil, recommended oil change intervals may change. Call us for more details. Are you in need of new wiper blades or a refill on your old ones? Kanata Toyota has got you covered! 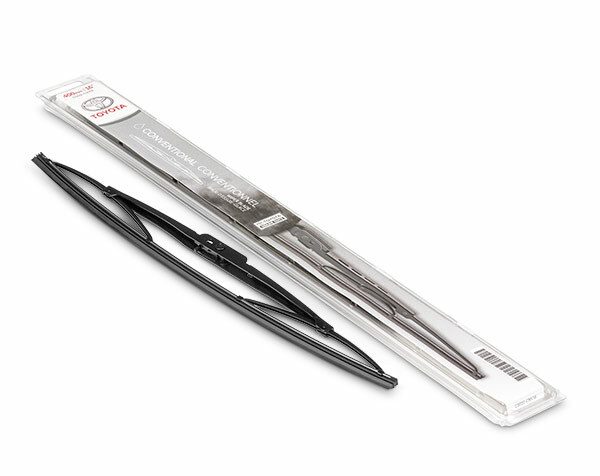 Purchase Wiper Blades/Refills from our Parts Department and we will install it at NO CHARGE to you! Are you concerned your battery won’t last the season? 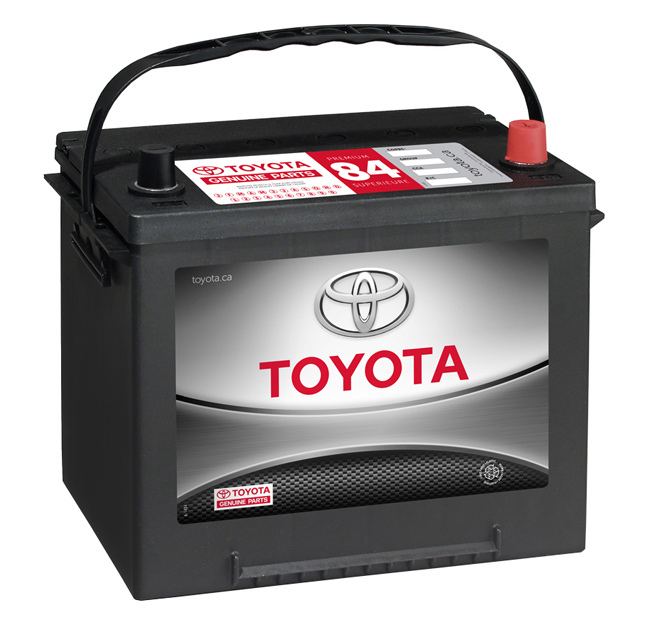 Come in to Kanata Toyota today to get the health of your battery checked at NO CHARGE to you! No appointment necessary. Speak with one of our experts today! On account on Good Friday, Kanata Toyota will be closed on April 19th. We will resume regular hours on April 20th. By submitting your email address or phone number, you allow us, Kanata Toyota, to include you on our contact lists to send you information about our products, services and promotions. You may revoke consent at any time by clicking on the "Unsubscribe" link in your email.